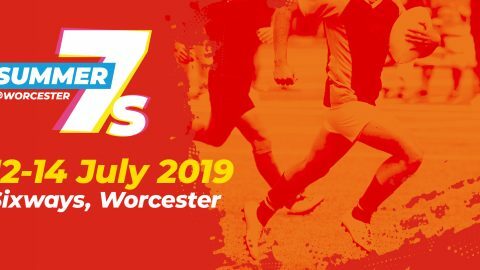 Joanne, a litigation lawyer, who is also chair of the Hereford and Worcester branch of the Institute of Directors, has supported the charity’s efforts to encourage enterprise and business skills among young people for several years, judging competition entries and supporting teams who take part. She is one of several staff at the firm who give their time to support teams from across the region who enter the annual competitions – each team has a mentor from the commercial world, and entries are judged by businesspeople. 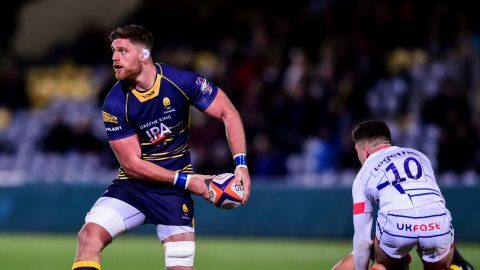 Alison Scott and Rupert Seldon mentored the team from the King’s School, Worcester, (The Bottom Line), while in Herefordshire former team mentor Ellis Walby was a judge. In Warwickshire, fellow litigator Fiona Hayles was on the judging panel. Joanne said: “I am very honoured to have received the award – for me, the real success is to see so many young people venturing into business for the first time and learning from every step they take on their journey, whether they win awards or not. 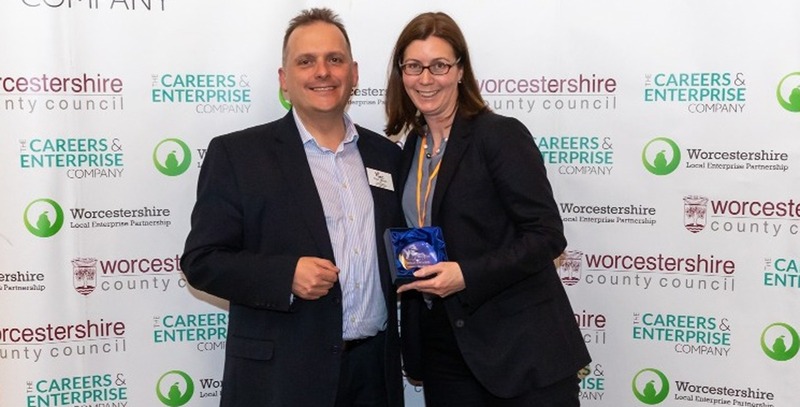 Paul Moult of Worcester Bosch, chair of Young Enterprise for Worcestershire, who presented Joanne with her award, said: “Jo is a person who only ever says yes and can only ever offer solutions. She has become a very important part of Young Enterprise and her commitment and passion for the charity is second to none. Harrison Clark Rickerbys has 470 staff and partners based at offices in Worcester, Cheltenham, Birmingham, Hereford, the Wye Valley, the Thames Valley, Cambridge and central London, who provide a complete spectrum of legal services to both business and private clients, regionally and nationwide. The firm also has a number of highly successful teams specialising in individual market sectors, including health and social care, education, advanced manufacturing, agricultural and rural affairs, defence, security and the forces, and construction.